This site will be updated as new events are planned. Please bookmark this page and/or like our Facebook page to continue to receive updates from the Canadian School of Peacebuilding. Stay tuned for more information about Emily's lecture! Emily Welty is an academic, ecumenist and artist living and working in New York City. She is the Director of Peace and Justice Studies at Pace University where she teaches classes focusing on nonviolence, humanitarianism and reconciliation and transitional justice. Her research focuses on the religious dimensions of peacebuilding with an emphasis on humanitarianism and nuclear disarmament as well as nonviolent social movements. She is the Vice Moderator of the World Council of Churches Commission on International Affairs and is the chair of the Nuclear Disarmament Working Group. Emily is part of the 2017 Nobel Peace Prize winning International Campaign to Abolish Nuclear Weapons (ICAN) where she works on faith-based engagement in nuclear disarmament. 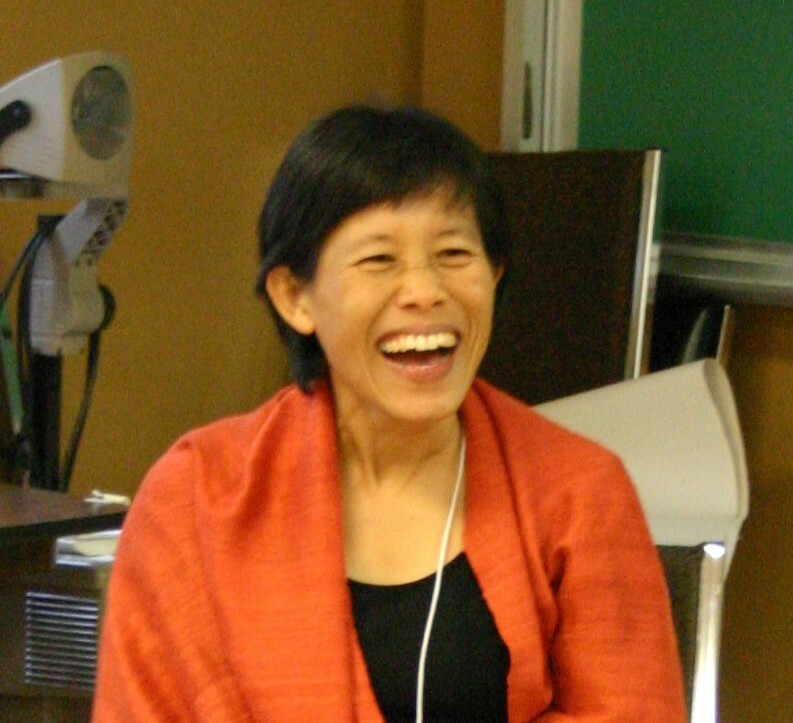 She is the co-author of Unity in Diversity: interfaith dialogue in the Middle East and Occupying Political Science. 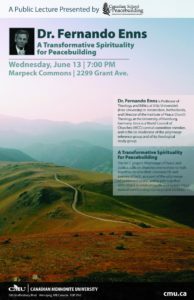 Missed Fernando Enns' lecture? View it below. The WCC project, Pilgrimage of Peace and Justice, calls on churches everywhere to walk together, to view their common life and journey of faith, as part of the pilgrimage of justice and peace, and to join together with others in celebrating life and to take steps toward transforming injustices and violence. 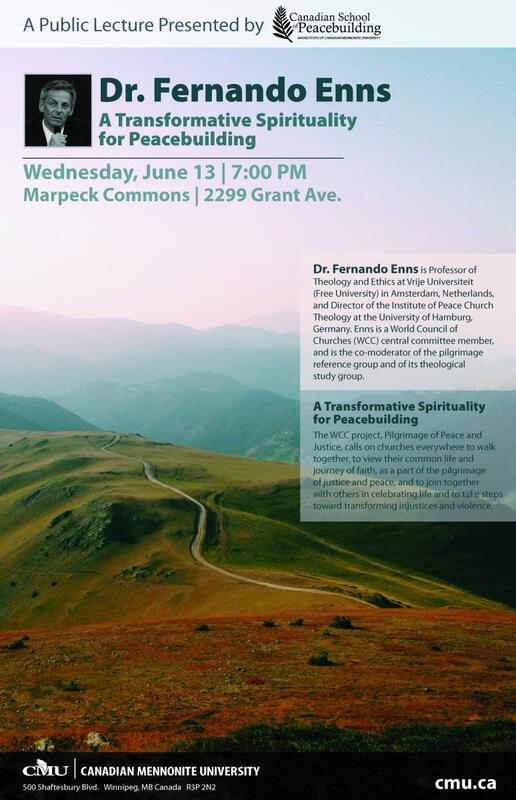 Dr. Fernando Enns is Professor of Theology and Ethics at Vrije Universiteit (Free University) in Amsterdam, Netherlands, and Director of the Institute of Peace Church Theology at the University of Hamburg, Germany. Enns is a World Council of Churches (WCC) central committee member, and is the co-moderator of the pilgrimage reference group and of its theological study group. 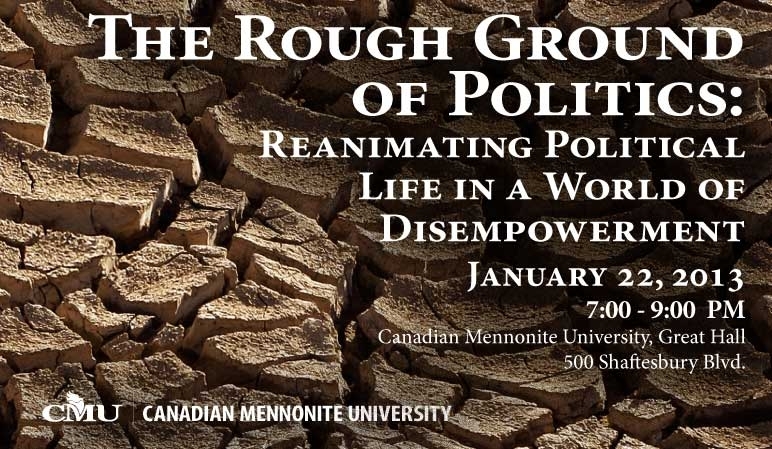 Missed Senator Murray Sinclair's lecture? View it below. 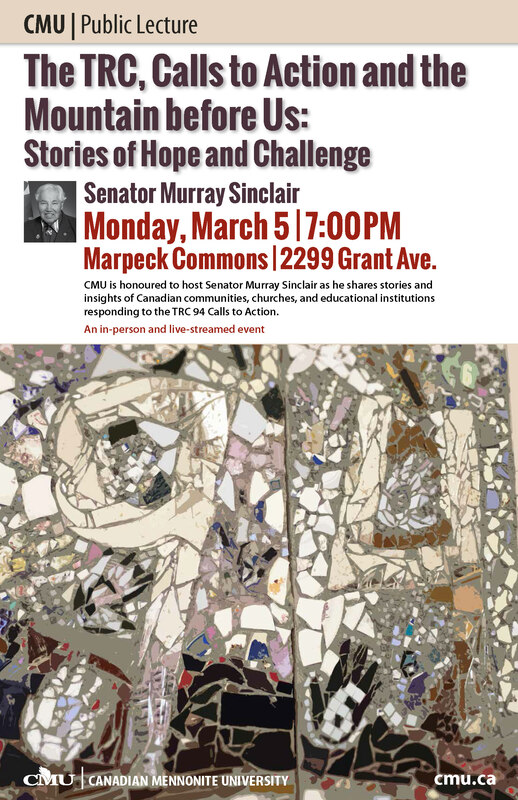 As part of CSOP's 10th anniversary celebrations, CMU is honored to host Senator Murray Sinclair as he shares stories and insights of Canadian communities, churches and educational institutions responding to the TRC 94 Calls to Action. This is both an in-person and live-streamed event. We hope you'll join us. 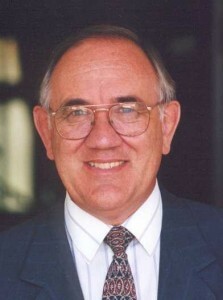 The Honourable Senator Sinclair served the justice system in Manitoba for over 25 years. He was the first Aboriginal Judge appointed in Manitoba and Canada's second. He served as Co-Chair of the Aboriginal Justice Inquiry in Manitoba and as Chief Commissioner of the Truth and Reconciliation Commission (TRC). As head of the TRC, he participated in hundreds of hearings across Canada, culminating in the issuance of the TRC's report in 2015. He also oversaw an active multi-million dollar fundraising program to support various TRC events and activities, and to allow survivors to travel to attend TRC events. 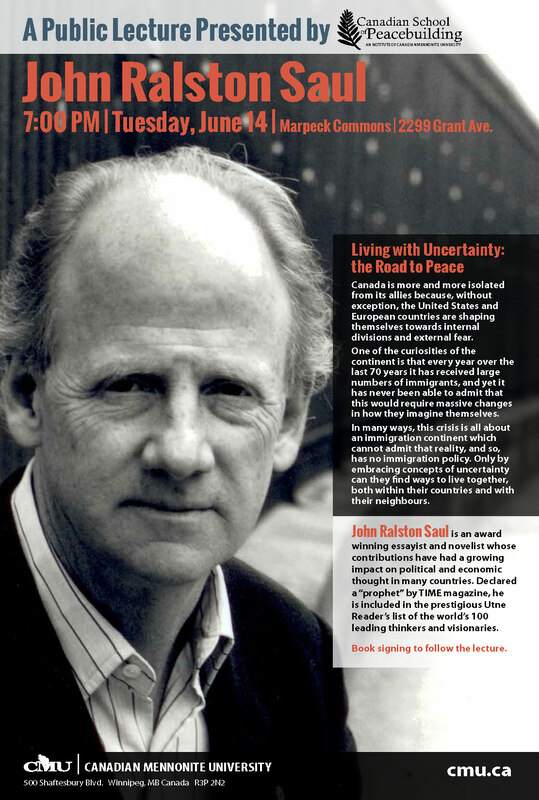 Missed John Ralston Saul's lecture? View it below. Canada is more and more isolated from its allies because, without exception, the United States and European countries are shaping themselves towards internal divisions and external fear. They remain caught up the in old 19th Century idea of how nations function. You can see this in Europe on their handling of the refugee crisis. One of the curiosities of the continent is that every year over the last 70 years it has received large numbers of immigrants, and yet it has never been able to admit that this would require massive changes in how they imagine themselves. In many ways, this crisis is all about an immigration continent which cannot admit that reality, and so, has no immigration policy. Only by embracing concepts of uncertainty can they find ways to live together, both within their countries and with their neighbours. Sushant Agrawal is the director of a large agricultural development program in India. Come hear about some of the challenges of farming in the Indian context and converse about the implications for global agriculture. 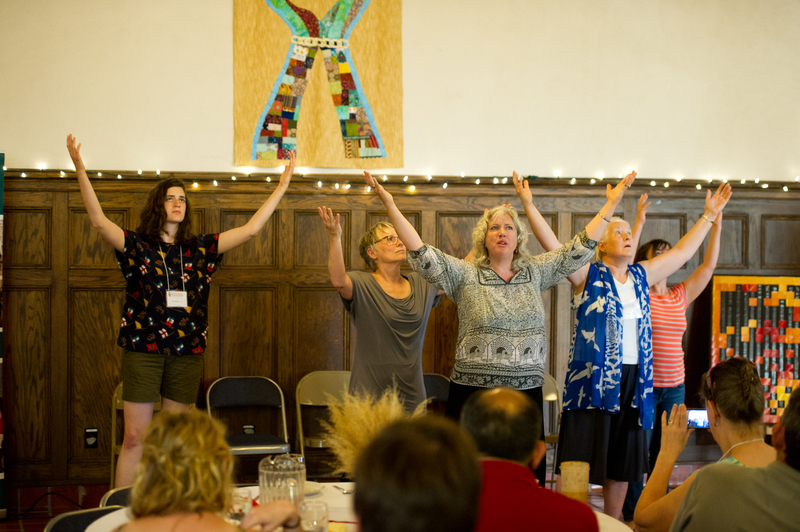 Germinating Conversations is hosted by Canadian Mennonite University (Canadian School of Peacebuilding), Mennonite Central Committee and A Rocha Canada. If you are in the Winnipeg area, please join us for the launch of our new book. In this book, co-editors Richard McCutcheon, Jarem Sawatsky and Valerie Smith invite you to explore the stories, theory and tools of sixteen peace leaders, trainers and activists from around the world. An intriguing mix of styles and perspectives, these peacebuilders describe how they have used their creativity, compassion and frustrations to learn how to peacefully engage and transform the world around them. Authors include: Ovide Mercredi, Mubarak Awad, Stuart Clark, David Dyck, Martin Entz, Harry Huebner, Ouyporn Khuankaew, George Lakey, Ivo Markovic, Maxine Matilpi, Stan McKay, Piet Meiring, Sophia Murphy, Kay Pranis, and Karen Ridd. Through inspiring stories, the book takes you on a journey of interrelated themes including women and peacebuilding, nonviolent action for social change, restorative justice, indigenous approaches to change, spirituality and creative arts, circle process, food security, mediation, inter-cultural peacebuilding, and truth and reconciliation. 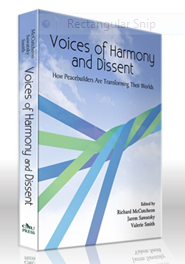 To buy a copy of Voices of Harmony and Dissent, in print form or as an e-book, go to csop.cmu.ca/peacebook. Due to external circumstances, we have had to cancel the Mindfulness Retreat, originally scheduled for June 10 -12. We are disappointed that we are not able to offer the retreat and hope that it will work for us to offer something similar in the future. I apologize for any inconvenience that this change may have caused. If you are still looking for a chance to connect with Ouyporn and Ginger, you can still sign up for their Women and Peacebuilding course, June 15-19, 2015. If you have any questions, you can e-mail csop@cmu.ca or phone 204-487-3300 ext. 316. 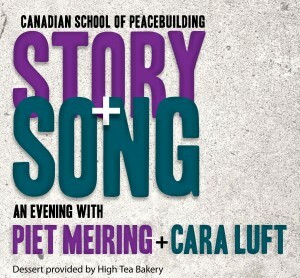 Each week during the Canadian School of Peacebuilding we host a lunch banquet of great local food and inspiring speakers. Each speaker is asked to tell stories of people they think of as great peacebuilders. 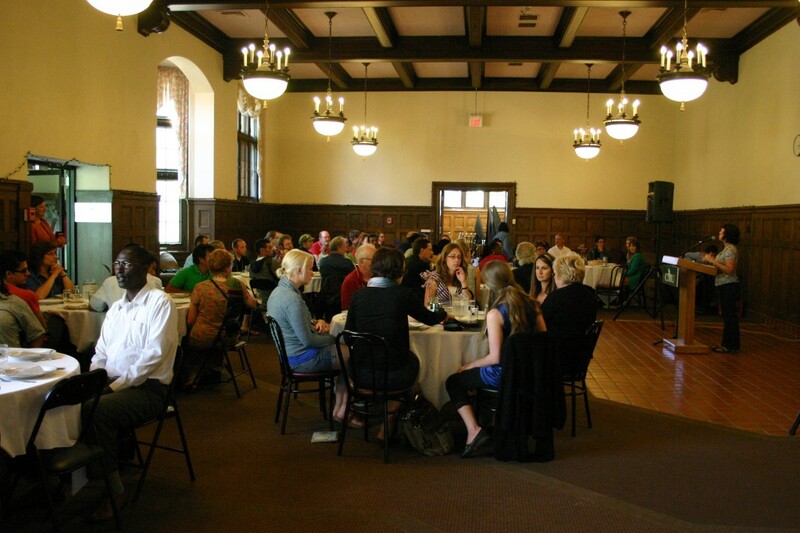 From 2009 – 2013, we invited the general public to join us, but due to the growth of the School, we no longer have space to open the banquets to the public. 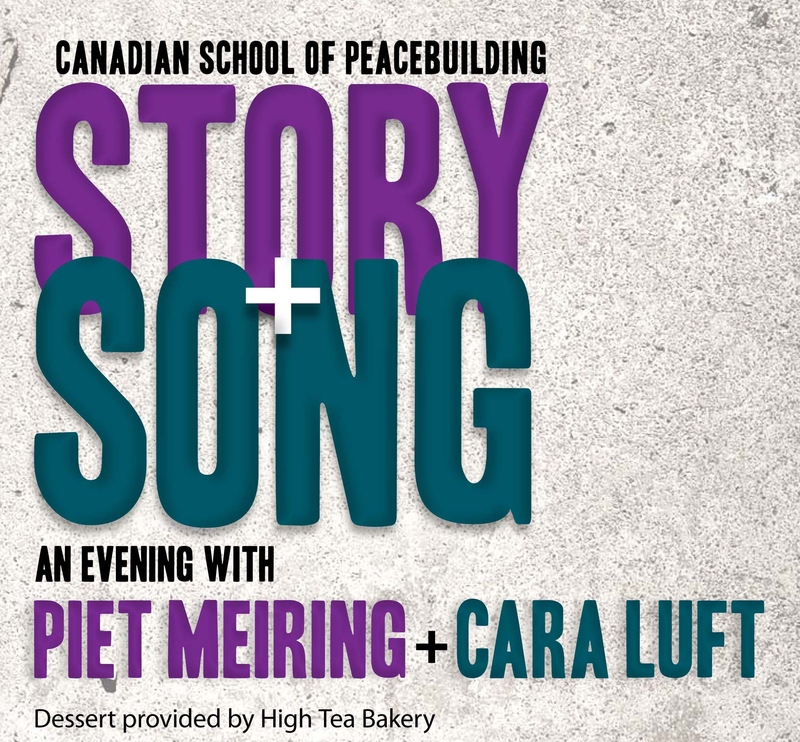 Over 200 people joined us for an evening of Story and Song featuring Piet Meiring, South African peacebuilder, and local singer/songwriter Cara Luft. 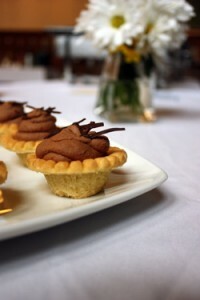 Dessert was provided by High Tea Bakery. Piet Meiring, former Commissioner of the South African Truth and Reconciliation Commission, presented a one-day workshop entitled, "The Perennial Quest for Truth and Reconciliation: Learning from one another’s experiences." During the workshop Piet examined the complexities of truth and justice in the journey toward reconciliation. A comparison of the South African and Canadian experiences as well as insights from those experienced in the field were included in the workshop.